This message was preached by Colin D Cruz at Word Of Grace church, Pune on the 29th of Jan2012. This is a summary of the message. If you would like to lsiten to the AUDIO version please click here. Last week we read in the newspaper of how a State Transport driver went rouge and drove his bus into people killing 8, injuring 20 and damaging 40 vehicles. People were going about their normal routine of going to work, dropping their kids off to school etc. They were not expecting to be rammed down by this run away bus. It was such a tragedy, such a calamity. Our hearts go out to these people. May the God of all comfort, comfort them in their time of loss. Let’s take a moment to pray for them right now. If it is possible try and visit some of them who are in the hospital- express the love of Jesus by offering to pray for them. Many questions come to our mind when these things happen – it’s a senseless tragedy. And many of us ask the question “why”? Some say maybe it’s their sin, their karma- they are paying for their sins. Is this true? 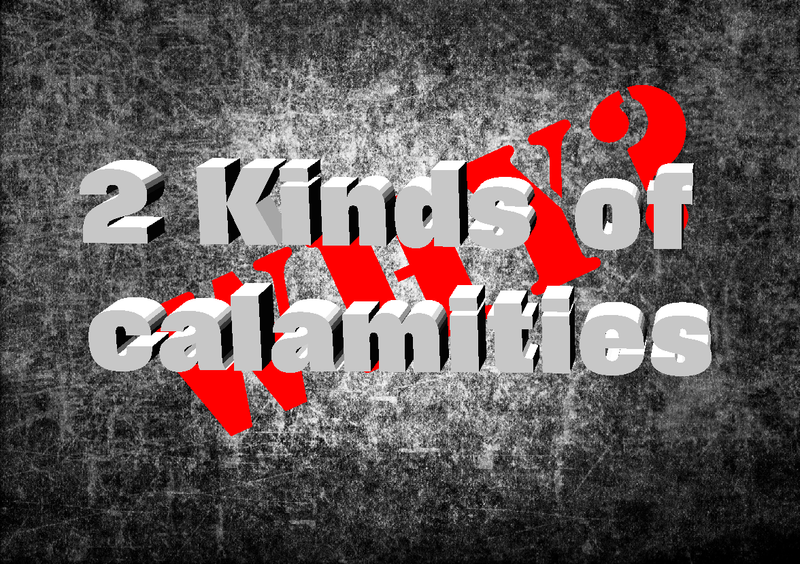 Let’s go to the final supreme authority – The Bible and see what it has to say about calamities like this. What did Jesus say? What should our response be? Let’s turn to our text for today. Jesus is addressing large crowds here – He is teaching and preaching to them calling them to repent; and he spoke about Judgement. 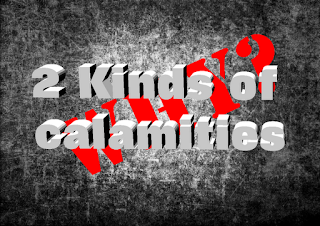 In Luke 12, they asked Jesus about some Galileans who died in a calamity. They had come to the temple to pray. They may have done some thing against the Romans and Pilate ordered that they be slaughtered in the temple. Maybe they thought that they would be saved hiding in the temple. But Pilate orders that they be killed there itself. Not only that, their blood was mixed with the temple sacrifices. Can you imagine the horror of it? Imagine – we have the communion table here and someone comes in here, kills someone and then mixes their blood with the Communion juice. Horrific!!!. The temple was very, very holy for the Jews and this happens there. It must have hit their headlines. The Jews believed that they were the blessed people and that they would be kept from calamity. So when such a thing happened, they concluded it must have been because of sin. John 9:1-3As he went along, he saw a man blind from birth. 2 His disciples asked him, “Rabbi, who sinned, this man or his parents, that he was born blind?” 3 “Neither this man nor his parents sinned,” said Jesus, “but this happened so that the works of God might be displayed in him. People were of the opinion that the child was blind because of somebody’s sin. But Jesus corrects them and says “neither” .The questions they asked is why did the Galileans die? Jesus asked them “do you think that these Galileans were worse sinners?” Jesus answers in the negative and warns people to repent or they would perish. Jesus talks about another calamity in Jerusalem – the tower of Siloam falling and killing people. We hear of tragedies like this everyday – it’s just that one is in the wrong place at the wrong time. Did they die because of sin? Jesus said “No”. What can we learn from this? It’s not that those people were worse sinners. We need to understand something. That we are alive is the grace of God. It’s because of His mercy we can enjoy life. People say “Where is God?” “This is not fair”. Let us see what is fair. Illustration: A Professor has asked his students to hand in all assignments on the 1st of every month. Some do it and some don’t. The ones who are late pleading for more time get it. The next month it’s the same people who are late again and the professor gives them an extension. The third month these people are late again! Now the Professor decided to give them a zero for that months assignments, at which the students protest saying “It’s not fair!”. The Professor responds saying “You want me to be fair? Okay. According to what I said earlier you should be getting a zero for all the late submissions, so you will be getting a zero for the last two months assignments as well. That’s fair!” Get the point? The professor extended grace and mercy in the first two months – not giving them what they deserve and giving them what they don’t deserve. We are like that. We deserve death but we have received grace and mercy. We should be thankful for our lives being spared. Jesus says this in verse 3and 5:Unless you repent.. The real calamity is not this physical calamity. Its lack of repentance .What is he talking about? Is he talking about death? No. He is talking about Eternal Judgement. Just because you are alive today does not meant you have escaped judgement – true calamity is that you will die and experience the judgement of God. What is “perish” ?– it is to be destroyed after facing the judgement of God. These people did not expect to die. In the same way you may not be expecting judgement but it is going to happen. What’s the solution? It’s repentance. God wants each one to repent. We need to open our eyes. I’m speaking to those who have never repented. These are Jesus’ words, not mine. Repentance is falling on our knees asking for forgiveness through Jesus. It’s saying Jesus please forgive me my sins, you are my Saviour, you died for me. Jesus speaks of repentance several times. Luke 10:13-1513 “Woe to you, Chorazin! Woe to you, Bethsaida! For if the miracles that were performed in you had been performed in Tyre and Sidon, they would have repented long ago, sitting in sackcloth and ashes. 14 But it will be more bearable for Tyre and Sidon at the judgment than for you. 15 And you, Capernaum, will you be lifted to the heavens? No, you will go down to Hades. So to those who have never put their faith in Jesus – repent. I urge you not to walk out of this room without turning to Jesus. 1. Repentance is not a onetime thing. ( not referring to Repentance that is done at the time of receiving salvation)It’s lifelong. What do you need to repent of this morning? Is the Holy Spirit convicting you so something? What does God want you to do that you are not doing and what does God want you to stop doing that you are doing now? Some Christians like to walk on the edge of the kingdom flirting with darkness. “How much can I get way with?” “What is the least I need to do to go to heaven?” “How far can I go and get away with it?” We want to live dangerously. What is the minimum I need to serve, give to get by? The Lord would say “Repent”. If you are not seeing your sin everyday it is a problem. God is light – as we spend time with him he will show you your sin. Let his light shine on your darkness. Let’s grow in repentance. 2. We are all in touch with people in the world who do not know Jesus. They will perish if they do not repent. Our responsibility is to share the gospel with them. They may not welcome your message but our responsibility is to share. It’s not your responsibility to make them believe. You are like the Courier boy – you only delver the bills, it’s the recipients responsibility to pay up. In the same way, you deliver the message. Responding to it is their responsibility. But we are also ambassadors representing the Kings authority. When they respond we need to tell them more.It’s like speaking to the P.A of the Prime Minister. If he tells you something, it’s as good as the Prime Minister telling you. It carries the same authority. The same way God’s authority is upon you when you proclaim the gospel. My prayer is that each one of us will proclaim the gospel. If you have not received the Lord Jesus as your saviour I plead with you come and see me. If you don’t the warning is clear – you will die in your sin if you reject this message. If you respond, you will die to your sin. If you know Jesus, let’s live for Him- don’t live on the edge, jump right into the kingdom of God. Last week we spoke about your purpose, serving etc – that is secondary to this. This is primary – to take the gospel to you family, neighbours, friends. You have been placed there and seek God how you can share because they will perish if you don’t. I would like to pray for those of who want boldness to share the gospel. Amen! Below is the link to the audio of Part 3 of the sermon series on Growing Strong preached by Colin D Cruz at Word of Grace Church. This morning we have been singing these amazing songs about what God has done for us, how he poured out his love on us, he died for us. The question we should ask is, what should our response be to this amazing love? Should we be saying,’ Thank you for dying for me, I’ll see you in heaven”. What is the adequate response? What does God expect from us now that we are believers? Imagine a lady who is waiting to get married. She has found the right person? She is looking forward to getting married. She is looking forward to her wedding day and they hope for a fairy tale end of “they lived happily ever after”. They get married and the husband goes to work, the wife spends her time watching TV, shopping etc. He comes back and finds the house in a mess, the clothes unwashed, no food cooked, the credit card used on shopping. And he asks her, “What’s going on and why there is no food cooked?” And she turns around and says “what? Do you expect me to cook for you?” What kind of a marriage would that be? The husband asked her how about starting a family? And she turns around and says, “I don’t want any kids!” What kind of a marriage would that be? Is this wife a good wife? Let’s look at Ephesians chapter 2 which is a wonderful chapter on the grace of God. Those 10 verses we start with us being dead in our transgressions, to being saved by grace and then our response. We are dead and hell bound. But God made us alive – he came in his grace saved us and seated us in the heavenly realms. So what should our response be? 1. Verse 10: You were saved to serve. We are not just saved so that we can go to heaven. We are God’s workmanship -each one of us in intricately designed. We are different from each other. The word ‘poem’ comes from the word ‘workmanship”. There are things that only you can do and these things were planned in eternity. Doesn’t that blow your mind? God had planned for Moses who he ran away from home and he was looking after sheep – but God’s plan was for him to bring deliverance to the Jews. David – was a shepherd boy. God said he would not shepherd sheep but the nation of Israel and He made him King. Esther came from nowhere to become the queen who would one day bring deliverance to the Jews. Today we have different people who have been used by God – William Carey, Mother Theresa etc. My question is what God has called you to do? It is unique to you. Are you involved in that or have you buried it in the ground? Are you like the bride who is watching TV and says to the husband I have no time for you? Some of us may be called to a public ministry and some to private. God has a plan for you. Each one’s plan is different. You have a chandelier in your house and a zero watt bulb. Both are useful. The zero watt will help you from stubbing your toe against the bed in the night. Don’t look at someone else’s plan. Ps 139 – We are fearfully and wonderfully made. Even the desires you have are unique to you. The experiences you face are unique to you- even the bad patches you go through. God uses it for good. Find out Lord what you would have me do. In two weeks time we will be having a “SHAPE” workshop to find out what our shape us – what are the gifts God has given you, what is your personality etc so you can serve in your unique way. 2. You are never greater than when you serve. John 13:1-12. This is a familiar passage where Jesus washes his disciple’s feet. Here is Jesus, secure in his identity. He knew he was equal with God but he took on the robes of the lowest slave. He shows them the full extent of His love. In those days the job of cleaning the feet was relegated to the lowest slaves yet Jesus did it. V12. Jesus set an example and we have to follow. He did not just preach but he practised. He did not just explain but was the example. Today I want us as a church to grasp this importance of this truth We are all called to be servants. How many have heard the word “Minister”? We have many ministers in our country. In today’s world a Minister is one who drives in a special car with a red light on top with police in front of him. In Bible times the word minister means servant. The meaning of words, change over time. You’ve seen the corporate chart with the CEO at the top and then the mangers and then the rest below. Jesus is saying that chart has to be turned upside down. The one who has to be great must serve. In the world we measure greatness differently – by how many bodyguards accompany the man. But Jesus says it’s the one who serves the most is the leader and the greatest. So we need to get this into our spirit because it’s so against the grain of our culture and thinking. Jesus was confident of his identity- he didn’t think he was God and that he didn’t need to do this. We need to be secure in our identity in God – laying out the chairs; carrying stuff on the serving team will nto affect your identity. Ask yourself – Am I a person who serves? There are different kinds of servers. Some only serve when asked. Am I a person who serves only when asked? A good servant does not need to be told. We should see the need and step in. Jesus was like that – he saw the need and didn’t say “John , you do it” He stepped up and did it. Ask the Holy Spirit to show you how you can help. 3. You will be rewarded as you serve. Matt 25:31-36. 31 “When the Son of Man comes in his glory, and all the angels with him, he will sit on his glorious throne. 32 All the nations will be gathered before him, and he will separate the people one from another as a shepherd separates the sheep from the goats. 33 He will put the sheep on his right and the goats on his left. The world is coming to an end and all the sheep with be separated from the goats. There is a great reward in store for us. We are saved by faith and grace alone not by works. But we are saved FOR works. All these are action words – feeding, clothing, visiting etc. Verse 34- Its mind boggling what Jesus has in store for us. The rewards are totally out of proportion to what we do. Paul said No eye has seen what God has prepared for those who love Him. Let’s keep our eyes on the goal. Our reward is in heaven which cannot rust, spoil or fade. We will have something we cannot imagine. For what “For giving a cold cup of water, for visiting the sick, for cooking for someone. We get kingdoms for that! !We are looking forward to an eternal reward. Jesus is keeping a track of all we do. We may not get rewarded here but in heaven we will. It’s mysterious but it’s something great. Our time on earth is an opportunity to earn an eternal reward in heaven. Here is the challenge – ask yourself what you can do? You can do many, many things. Here we want to get everybody involved .Why? Because we are getting married to Jesus, he has saved us and we want to serve Him. Pray and ask God to put a desire in our hearts to serve. Labels: AUDIO, Christ likeness, Colin D' Cruz, Growing Strong, Servanthood, serving, Spiritual disciplines. During our time in Mumbai with the family over the Christmas break, I made a wonderful discovery as I was rummaging through my old boxes of treasures looking for certain items of the past- from decades long gone. 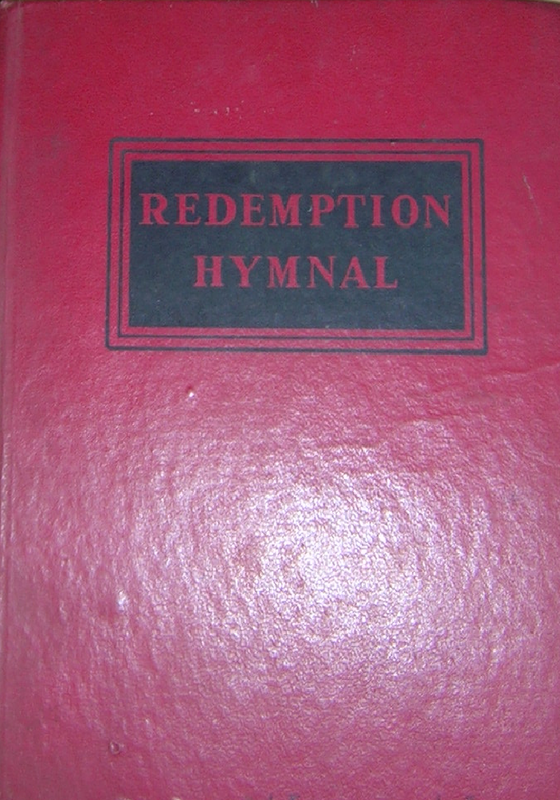 Neatly tucked away in a box of books was an old red Hymnal that belonged to my father (who had passed on 23 years ago). I was ecstatic with joy as I thought it had gotten lost in our moving from one city to another. It’s a hymn book I have always loved and cherished. A special touch is that it has his signature in his own beautiful handwriting ! What caught my attention this time is the Preface, (much to my shame, I admit) that I have never read before. I was stunned by the clarity of intent and purpose and the clarity about what the content ought to be and why. I thought to myself as one who does not have a casual interest in worship but had devoted a large portion of my life to, that this is a great Preamble for any worship leader. This has provoked me to pen my thoughts on what I believe the shape and structure of worship ought to be. Songs that emphasize the Deity of the Lord Jesus Christ and the glory of His cross as central in the redemption , his blood , of sinful men. They provide for the worship of the Father in spirit and in truth and express the aspirations of those who long to be Holy as He is holy. Their basis of doctrine is belief that the Bible is the Word of God that lives and abides forever, by which men are born again and through which they grow in grace and the knowledge of our Lord and Saviour. All these truths have glowed with new and deeper power and beauty through the baptism of the Holy Spirit received as a definite experience with scriptural evidence. The Songbook should combine rich devotional songs in abundance with stirring revival songs that present the Gospel in all its depth, winsomeness and simplicity. It should be equally suitable for regular life and work of the local church, for large gatherings and evangelistic outreaches. When our set lists begin to reflect these features I have no doubt that we will begin to experience a Pentecostal revival among those who worship and they will leave our meetings with thoughts of “were not our hearts burning when sang His praise?” And the unbeliever’s involuntary response will be “surely God is in this place”. 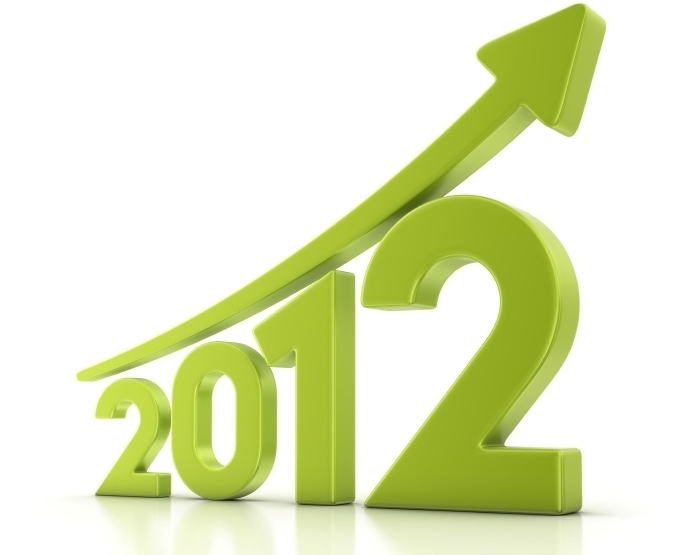 This is my desire for 2012 – for me, the band members in my church. I am passionate about seeking His presence, His outpouring and anointing so that Jesus may be lifted up high above all.